So you have spent months planning your perfect skiing holiday. Hours have gone by with your friends and family debating the ultimate location, the nicest chalet and the best apres ski. Unfortunately the planning has not quite finished. Ski hire is an important part of your holiday where quality and price can vary significantly. There are companies out on the web offering wild discounts of up to 70%, but when the starting price is extortionately high it may not offer that good value for money. So what sort of price should you be looking to pay in Le Grand Massif? For adults, the basic set of skis, boots and poles should cost around €90 for 6 days while the top ‘gold’ package will be around €150. This is for a premium set of skis that should be new for the season – the skis probably cost the hire shop around €600 to buy brand new and should be top quality equipment. If you have your own boots then look to pay €70 for basic skis and polls, and €120 for a set of ‘gold’ skis and polls. You should be looking to pay around €60 for 6 days for a good set of children’s skis (up to 12 years, while a set for younger children (up to 6 years) will probably cost around €40. There will definitely be cheaper deals out there. However, make sure you know where the hire shop is located. If it is on the edge of town and your chalet doesn’t have a boot room then you might want to look elsewhere. Also, check the size of the shop’s stock. This will always be displayed on their website and is a good indication of the selection they will have available. If it is a busy resort and the the hire shop only has 100 sets of skis then chances are you won’t get the good stuff in February half term. We have found that both the price and quality varies hugely in Morillon and Le Grand Massif. We like Twinners in Morillon and are pleased to be able to offer our guests a 20% discount here. For a basic set of skis, boots and polls you will pay around €70 and for a ‘gold’ set around €120. A great thing about Twinners is that they are located right next to the Telecabine in Morillon and they let our guests leave their ski equipment overnight if they want to. 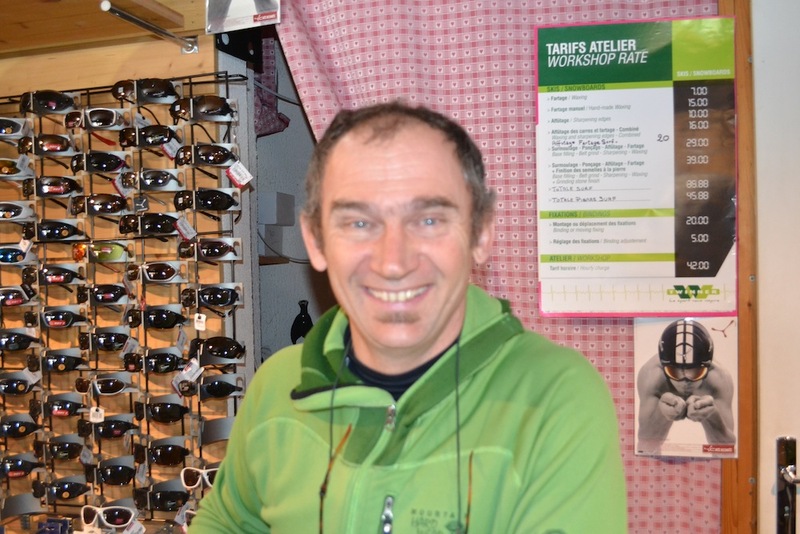 They are also run by Philippe Verneret, a double french downhill champion and Olympian in both Sarajevo and Calgary, just don’t mention his fall at the ’84 Olympics!